Ladies and Gentlemen, Governors, honoured guests, staff and pupils, I am delighted to be standing here before you as Headmaster at this year’s prize giving, a unique opportunity to celebrate the successes of your wonderful children, and of the community that makes their successes possible. It is this community that the children and staff of whom I am so proud build every day. Tonight, we see it in their smiles, we hear it in their voices raised in song, and we sense it in their confidence and self-belief. It is this community that we develop through the ethos that has long underpinned St Joseph’s, and that continues to this day. Our ethos speaks of care, of compassion and of community. It speaks of pupils provided with opportunities and resources to become confident, secure and decisive achievers, and of providing the motivation to look beyond boundaries, of pupils being empowered to exploit fully their natural potential. I see no greater example of this than in what Mrs Smith has shown us tonight through music and song. Thank you Mrs Smith. I see this ethos in action every day. I see it in the smiles of your children, and in their successes both big and small. It exists in the awards children collect today, in the steps of progress every child makes in their report cards, in the lessons that form the building blocks of each school day. It is vital for the children that we celebrate success of every size – even if time constraints mean we cannot bring every child on stage tonight. With this in mind, I would like to ask every child to think of the successes they have had this year – whether in the classroom or the sports track, the playground or the playing field, and to remember those moments. Because success in a piece of creative writing, or a maths problem, or a social situation where your thoughts, kindness and consideration have made a difference are the every-day successes that make you the best you can be. And we celebrate each of these, and we need to do this every day. Mr Gonella and I have many things in common. One of these, I discovered last week when fortunate enough to be in a Year 4 class he was teaching, is a belief in the inspirational story of Mr Thomas Edison who experimented over 1000 times before successfully inventing the lightbulb. Edison was later asked by a reporter how it felt to fail 1000 times. Shortly after that 1000th attempt, Edison asked one of the boys in the office to test the device for him. That boy was nervous: Edison was so widely respected and the device so precious I would have been nervous. He was right to be: he dropped that 1000th bulb. But the boy was not fired. Instead, two days later, the boy was asked to return to Edison’s office. All of Edison’s assistants were present. And Edison asked the boy to test the new bulb. The boy tested the bulb, and did so with confidence and success. Edison replied “It took me roughly a day and a half to construct the new bulb, and even if he dropped it, I could replace it within a day. Self-belief and confidence are so important to our children making progress, to children growing up to be all that they can be, to everyone gathered here in this room. Junior school, your achievements matter. Our pride in your achievements is real. Every one of you matters, and every one of you is so important. The most important prize you can win over the year is one you can award to yourself: the knowledge that you have done your best, that you have put in the effort, that you have done everything, every day, to be the very best version of you that you can possibly be. Some things often come naturally to some children while for others, it takes hard work and time. We must focus on when someone has really put in the work. If we always praise something that comes with ease, children, or adults, begin to see that as enough and to think that praise comes almost without trying. My request to you is simple: don’t give up when something is difficult. As Michelangelo said: I won’t have a problem if you aim high and miss but I will have a problem if you aim low and hit. In conclusion, I would like to share the story of Karoly Takacs, an officer in the Hungarian army. Takács was a world-class pistol shooter, one denied a place in the Hungarian shooting team for the 1936 Olympics because only commissioned officers were allowed to compete. This changed after those Olympics, and through hard work and a focus on practice, Takács was set for success four years later. Which was when tragedy struck: During army training, his right hand, his shooting hand, was shattered completely when a faulty grenade he was holding exploded. This this would have been the end for many people, but Takács was determined to continue, and incredibly switched to shooting with his left hand. He practiced in secret, and to the surprise of his countrymen won the Hungarian national pistol shooting championship in the spring of 1939. Sadly, his dream remained elusive as the 940 and 1944 Olympics were cancelled due to War. Despite hitting this brickwall, Takács was not going to give up: he qualified for the 1948 Summer Olympics, where he faced the favourite, world champion and world record holder, Carlos Enrique Díaz Saenz Valiente. Valiente approached him and had asked what he was doing there. And learn he did, winning the gold medal and beating the world record by ten points. Takács thought otherwise: four years later, he defended his Olympic title. We can all say that we are here to learn, we can all take pride in our learning, we can all make sure that while we learn, we build the self-confidence and self-belief of our friends and those we are at school with. 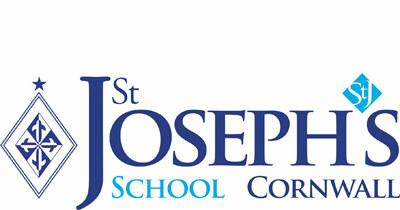 With care, compassion and community we can continue to build the St Joseph’s that we want to see. The amazing staff we are fortunate enough to have with us tonight build that community, and I can only say a huge thank you to every Junior School teacher, TA, member of non-teaching staff, parent and Governor as well as to Mr Matthews and Mr Gonella at this time. St Joseph’s is each of you children. It is every achievement, of every size, that I am delighted to celebrate with you both tonight and every day of term. This is where I wanna be. Thank you all. Mr Scott.